All music products follow a natural cycle from top sellers to the delete bin. In the book industry, we call them remainders, with CDs their deletes. Not sure which is worse: Being ‘leftovers’ or ‘write offs.’ The end result is the same. There are two surefire ways to make sure your songs don’t die after the album sales die: One is to make a comeback every five years; the other is to make sure the songs are remembered and perhaps even rediscovered years later to be covered by other artists. If you’re an upcoming band or solo artist, you want to get signed to a label, and you want to get signed to a good label, and a good label is one that will work hard to aggressively promote your music and aggressively protect your copyrights, right? Well, maybe not. Those royalties will certainly buy a lot of groceries and nobody wants to see their music blatantly ripped off. But I don’t think any musician lying on their deathbed is preoccupied with performance royalties or mechanical royalties. They would much rather see their music outlive their lives. I’m returning of course to the issue raised the other day concerning EMI-CMG, the Christian music group of EMI. 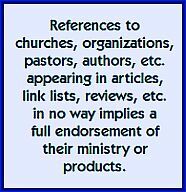 Is getting signed with this label the top prize, or might you do better, in the long run, to sign with a more ministry-focused organization? Today I decided to listen online to the song “More” by Mylon LeFevre. Classic Christian rock. “More of Jesus, less of me…” Beautiful harmonies. But instead, I got the far too recurring black screen telling me the song is not available in my country. Apparently people in Canada are tripping over themselves trying to profit from Mylon’s material. (If I wrote this on one of my mainstream blogs, I would get back, “Mylon who?”) It’s a shame really, because the song is most worthy of a cover version. I’m sure somebody at EMI thinks they are just doing their job; bowing to whatever copyright oddities permit the song in the U.S., but ban it in Canada, Japan, Serbia and three other countries you’ve never heard of. And in fairness, the notice also implicates Warner Music Group, who aren’t so much of a player on the Christian music scene, but probably own a song or two that you and I would want to recall. For years, the CCM industry yearned for “crossover,” we wanted to see our products rack up the numbers in K-Mart and Target and be equal players in the larger industry. So independent record companies like Sparrow sold out to the majors. Perhaps it’s time to stop chasing success and start crossing over in the other direction; time to take back our music. And if you are a music artist on the cusp of signing with a ‘major,’ think twice about where you want your music to be long after the songs are deleted and the band breaks up. Available or locked in a vault somewhere? With electronic devices, the proliferation of online ordering, and a general lack of reading taking place, it’s easy to know the why of what happens when a community loses a Christian bookstore. But in the process, the community also loses its Christian music store and its Christian DVD store and its Christian greeting card store and its Christian giftware store and its Christian apparel store and its outlet for tickets for Christian events and its church supplies store and its Bible store and its place to meet up with other Christ followers in a non church setting. Instead: The church community loses a marketplace presence. Instead: The community at large loses the effects of the church being in that marketplace. Maybe, even though they don’t own the businesses in question, local churches should be standing side-by-side with the remaining stores and fighting for their survival. 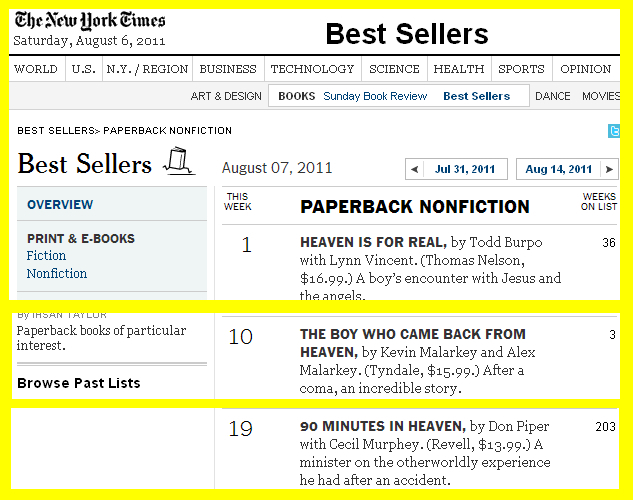 I grew up on bestseller charts, especially ones dealing with popular music and various sub-genres. I read them, studied them, and at several stages of life was involved in preparing them. For me, Billboard Magazine was like a textbook; and I carried this love of charts into my still-growing affection for books and readings. 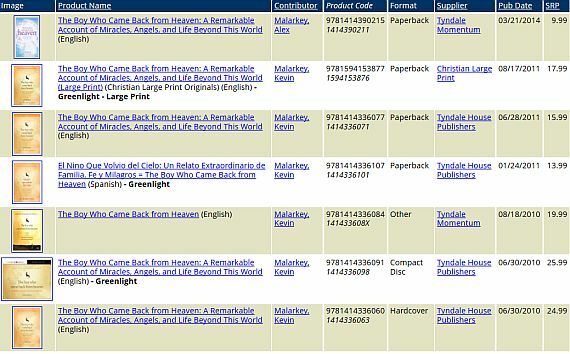 If you spend any time at all in the Christian blogosphere, you tend to get focused on a collection of titles that is both eclectic and esoteric, but one that doesn’t always reflect what’s going on in the trenches; what books are being scanned at the cash registers of various Christian stores. 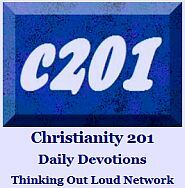 Furthermore, because the Christian blogosphere is not balanced denominationally — I’ve written about this before — certain publishers’ products tend to dominate. So here’s a look at the top 40 Christian book chart from my part of the world — sans any additional commentary — which I think is fairly reflective of national trends in North America. 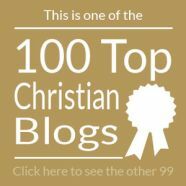 The comment section is all yours to discuss any of the given authors or charts in general, but on the latter, remember that for Christian retailers, awareness of what people are buying is a necessary evil, and objectively, nobody is presupposing that one book worthy of more honor than any other on the list.